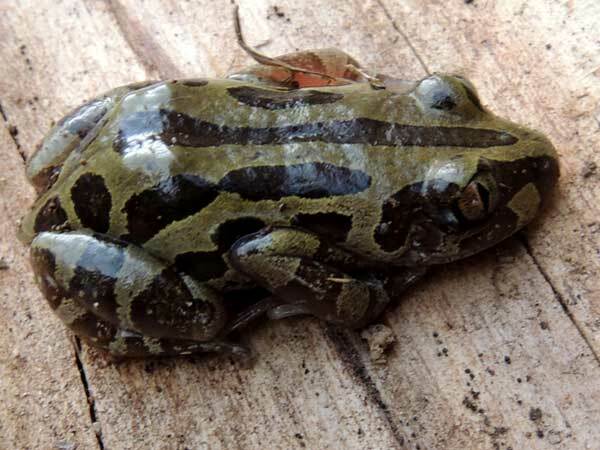 Found in the dry season ensconced under a board on damp soil, Eldoret, Rift Valley, Kenya. 31 December 2013. The boldly marked skin appears like porcelain; the dark spots are drawn out into narrow stripe patterns. Notice the pupils that are vertical slits.